Estella's Revenge: The TBR Tag! I was tagged by the super awesome Chelsey of Chels and a Book! 1. 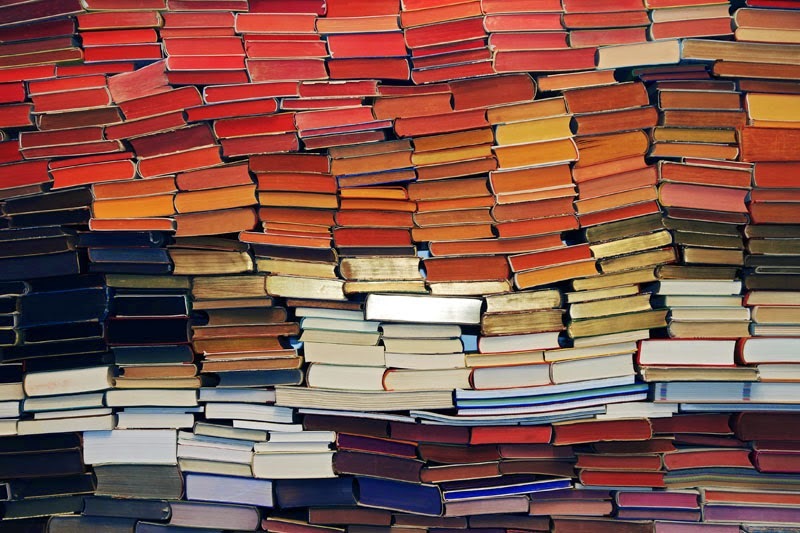 How do you keep track of your TBR pile? 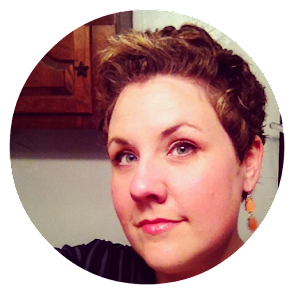 In truth, I am TERRIBLE at keeping track of a wishlist or keeping tabs on my physical TBR. Many books I own and want to read are on Goodreads, but a large chunk are just committed to memory. I'll snap them up when the mood strikes or when they go on sale. 2. Is your TBR mostly print or eBook? Mostly print, though the e-books are plentiful as well. I tend to enjoy reading physical copies more because I find that I get eye strain on the e-reader fairly easily. Bummer, right? 3. How do you determine which book from your TBR to read next? Moooood! I try to keep my obligations to a minimum, so I can grab whatever book is calling to me at the moment. 4. A book that’s been on your TBR list the longest? Ohhh, Lordy. Let me think. At this point, probably The Amazing Adventures of Kavalier and Clay, which is stupid, because I think I'll like it. I might even love it! 5. A book you recently added to your TBR? March, book one, by John Lewis, Andrew Aydin, and Nate Powell. The only reason it's still unread is that I couldn't download it onto my Nook. Apparently it was formatted incorrectly by the publishers, so B&N's internal something something team had to go reformat it. I need to check and see if it's readable now! 6. A book on your TBR strictly because of it’s beautiful cover. 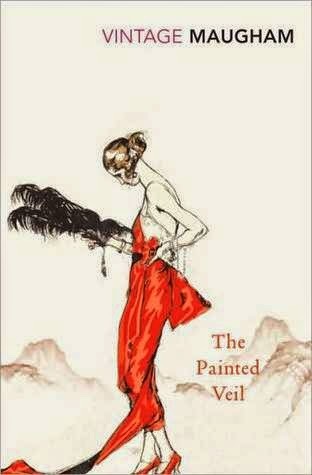 Not STRICTLY because of the cover, but I was heavily cover-influenced when I bought The Painted Veil, by W. Somerset Maugham. 7. A book on your TBR that you never plan on reading. I plan on reading them all. REALLY! One day! Right? 8. An unpublished book on your TBR that you’re excited for. Errrm, I'm pretty sure all of my ARCs have expired. That is, they've all been published at this point whether I read them or not. 9. A book on your TBR that basically everyone has read but you. OH so many books! We'll go with anything by Gillian Flynn! 10. A book on your TBR that everyone recommends to you. All the Light We Cannot See. I feel like a complete loser that I'm reading through it SO SLOWLY and I don't have much motivation to pick it up. 11. A book on your TBR that you’re dying to read. 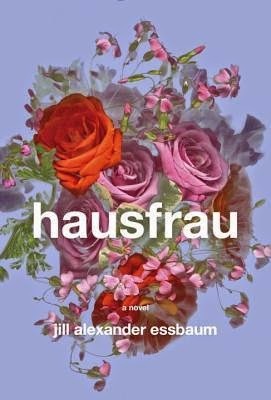 Right this second...hausfrau, by Jill Alexander Essbaum. 12. How many books are on your Goodreads TBR shelf? 465! ...anyone else who wants to jump in on this madness. I just finished Hausfrau last night and go, go, go! Read it soon! I used to be able to remember most of the books I have but not anymore. I do use a spreadsheet but it's not always helpful. Fun! I just got ALL THE LIGHT WE CANNOT SEE from the library. Can't wait to dive in! Hooray for mood reading! It doesn't lend itself to organization but man oh man, it's the way to go! I can't even fathom how long it would take to "organize" my TBR, especially books that are still just on a wish list! 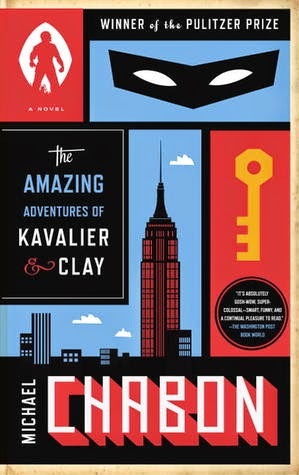 Read the Chabon, read the Chabon! Goodreads is a great way to keep track of things. I have this monstrous Word document that is spiraling out of control! I don't think my GoodReads has all the books on my shelves. I don't think my spreadsheet has them all either, as I kind of started for just ARCS and now I keep everything so I have an idea of what new is coming up and any commitments I have. I think I'll do this little meme next week, very fun.